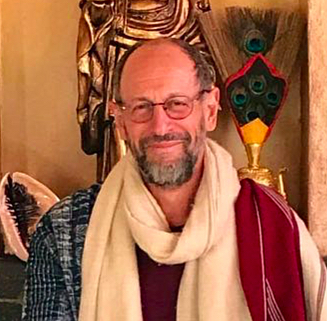 Please join us for a wonderful weekend of teachings from Lama Mark Webber on the essential topics of Unifying mindfulness and Bodhicitta and Discovering Pristine Awareness (Mahamudra). These teachings are open to all. LamaMark: Donation/Koha/Dana. The Lama gives his time & wisdom freely. Please give as generously as you are able. No one will be turned away from the teachings for a lack of funds. General: Bring your lunch if you wish to sit in the garden. There are plenty of local cafes if you prefer. Please bring pen and paper to make some notes and a comfortable cushion. Friday Evening, April 12, 7-9 pm:Unifying Mindfulness and Bodhicitta. Teaching, explanations and meditations on how mindfulness-attentiveness can be merged with relative and transcendent compassion (Bodhicitta). Liberating the mind requires compassion and other essential qualities for oneself and all other beings. It increases our capacity and strength of body, speech and mind for all aspects of our life and gaining accomplishment in liberation and awakeness. The Lama will introduce his recent study guide called The Thirty-seven Factors of Enlightenment. Saturday and Sunday, April 13 & 14th: 1) 9:30-11am & 2) 2:30-4:30 pm. Discovering Pristine Awareness (Mahamudra). Pristine, Naked Awareness or Mahamudra is a term for our mind’s innate nature. It also describes the meditation of unbinding and non-fabrication. Mahamudra, or ‘great seal’ is the view of all experience as it is—emptiness as total awakeness and compassion. This series of teachings describes the preparations, graduated steps we take and the natural mode of mind free of all obscurations. Lama Mark Webber will be giving a reading transmission, teachings and meditations of Je Gampopa’s (11th cent.) essence text: The Single Sufficient Path of Mahamudra. This is an elegant and direct instruction of the essence-ground of mind, the meditations, path we need to follow and the result. ; the inseparable unity of wisdom and compassion.